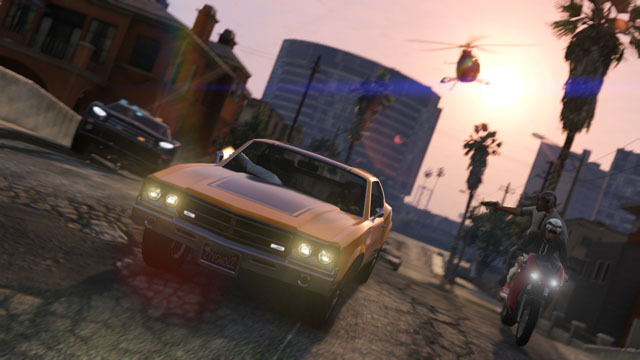 “Sorry” is the message Rockstar issued to fans who have spend the last 24 hours facing connectivity issues, as the recently released Grand Theft Auto Online struggled to cope with the large server demand. Many gamers faced an abundance of connection and game-freezing errors to which Rockstar replied with the following message: "We apologize for any inconvenience and thank you for your patience while we work to resolve this. If you would like to receive an automatic email notification whenever major updates are posted, please log into the Support Site and click Subscribe at the top of this page." The issues occurred within minutes of the patch being released, as millions of gamers tried to play online all at the same time. Gamers were faced with messages such as: "return to Grand Theft Auto V and try again later" or "The Rockstar cloud servers are unavailable right now. Please try again later". The select few gamers that managed to access the server were then faced with a frozen screen when trying to complete the first race. It wasn't long until fans took to social media to voice their disgust. 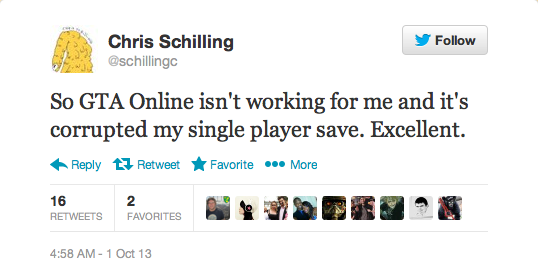 A popular American games journalist, Chris Schilling, had this to say: "So GTA Online isn't working for me and it's corrupted my single player save. Excellent." "There are bound to be some technical issues in these early stages of GTA Online's release, with so many people going online for the first time. We appreciate your patience and support, and know that we are working hard to smooth them out. Thanks for your patience and please report any problems you're having to our Support Team." With all that said, I can't imagine the game will be 'down' for much longer as Rockstar are purchasing more servers as we speak. Although we knew there was a chance of some crashes, glitches and crazy bugs, it almost feels like Rockstar release Online knowing that it wasn't ready. Have you experienced any of these problems? Let us know in the comments below.